Dr. George Lord, Professor of Surgery, and Paul Sample, Dartmouth Artist-in-Residence, moved to Norwich in the 1940s, each buying large parcels on Hopson Road carved out of the farm on the corner of Elm and Hopson. Both subdivided their properties. The lots from Lord’s piece were accessed by what became Spring Pond Road where the Gelbin and Brown houses were built. Paul and Sylvia Sample built a new house on McKenna Road and began selling parcels on Hopson in 1960 where the McGean and Gardner houses were built. In 1951, Keith and Edna Warner of Ft. Lauderdale, FL, bought two more large parcels on Hopson Road. Warner was a major collector of abstract art. In 1952 they built their own modernist house, filling it with pieces by Picasso, Rouault, and Alexander Calder. 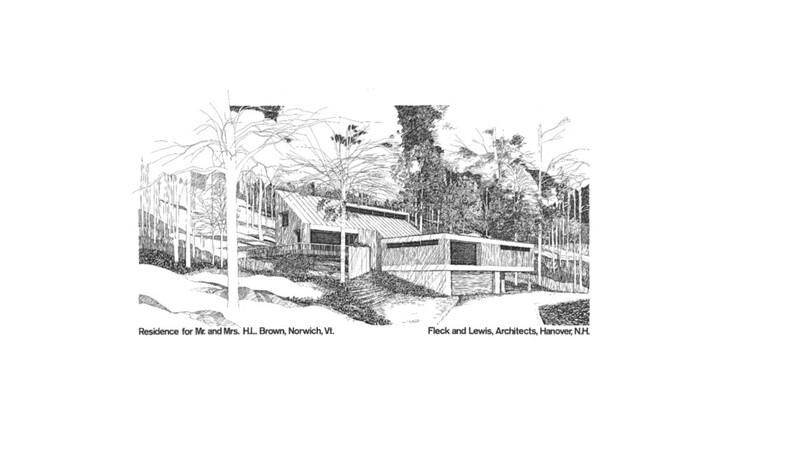 They continued to subdivide the properties and build modernist homes, laying out Pine Tree Road in the process. 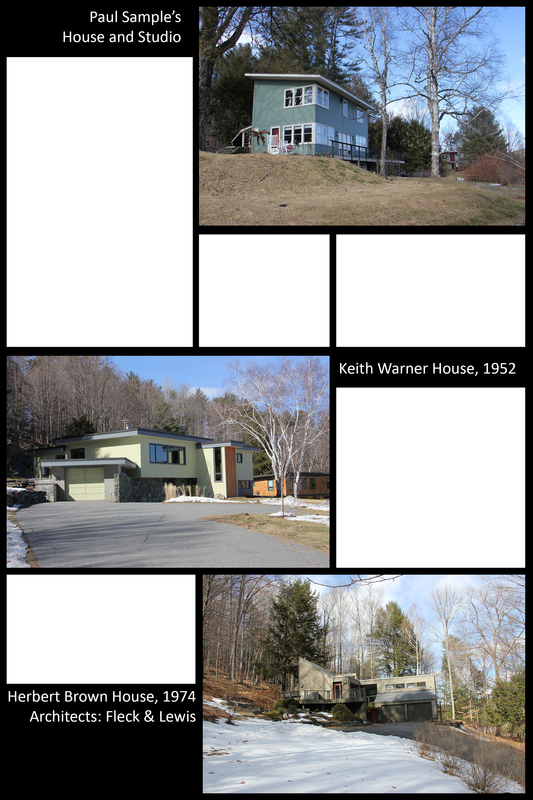 By the time the final house was erected in 1974 for Herbert Brown, 15 houses had been built for Dartmouth professors by architects well known in the modernist world. It was an intentional, modern residential neighborhood. The subdivisions had restrictions that were meant to maintain this character. The neighborhood, along with the other modernist buildings in Norwich, makes this community akin to the modernist enclaves in the Boston suburbs and New Canaan, CT, associated with Harvard and Yale.